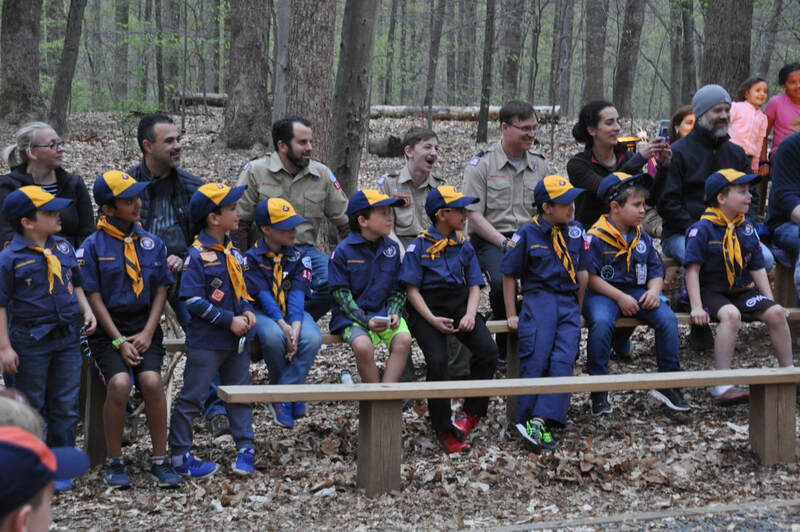 Pack 1530 is a Pack that loves the outdoors. We camp three times a year – in October, April and June. All camping is “family style”, with parents and siblings invited, tent sites a short distance from the cars, and a fun, low-stress structure. Highlights of our camping outings include pick-up kickball games, giant games of tag (sometimes at night with flashlights! 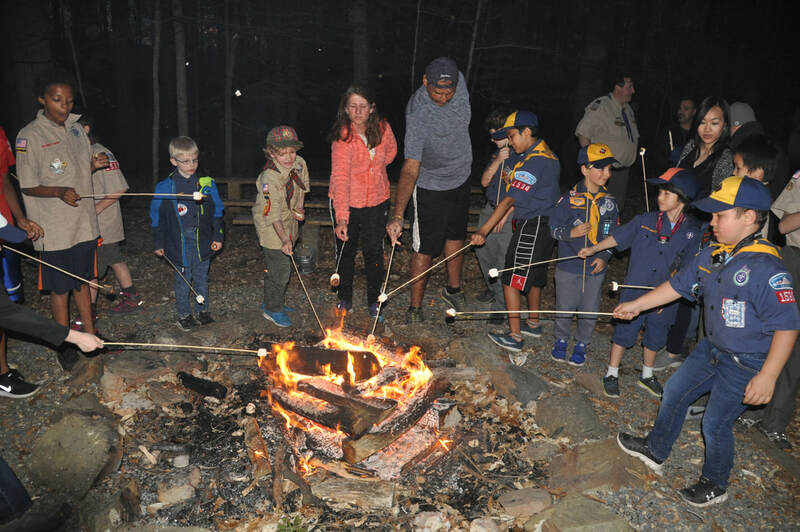 ), hiking, dinner with your Den, and a giant, fun-filled campfire with songs and funny skits by all the boys. We top off the evening with our tradition of campfire toasted s'mores. Boys tent with their parent(s), and in the morning we feast on a delicious breakfast of cereal, fruit, and world-famous Cub Scout powdered donuts that we make right there at the campsite!